Would you like to multiply without using any memorized multiplication tables? Does this sound impossible? It is not only possible, it is easy. Using this app you will learn to do some multiplying of small numbers (till 12) without using the multiplication tables. 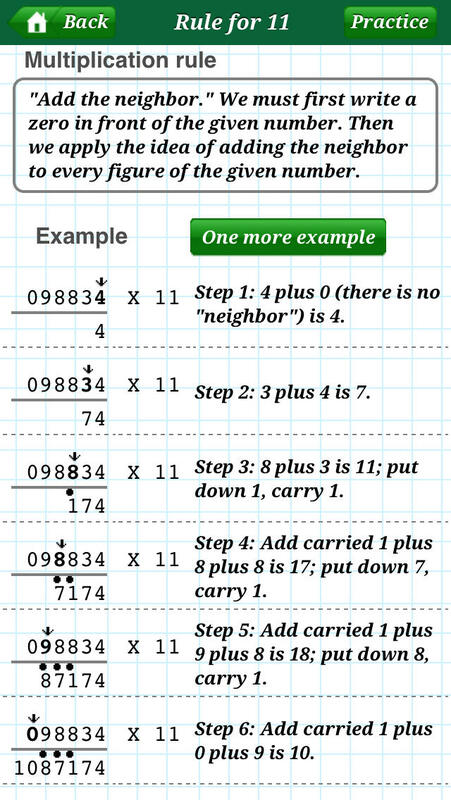 This app presents only a part of the Trachtenberg system - a new way to do basic multiplication. The important benefits of this system are greater ease, greater speed, and greater accuracy. The Trachtenberg system, once learned, can take the drudgery out of the arithmetic that is part of your daily stint.